You can even buy store bought rose syrup or another alternate is to use rose essence and rose water instead of rose syrup. For a rich flavored rose milk, add some heavy cream. I like to add ground almond paste to the chilled rose milk for a richer flavor. 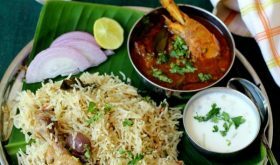 In Rajamundry (East Godavari district), there is a shop by name Rose Milk that was established in 1950 and is a hot favorite among the locals. 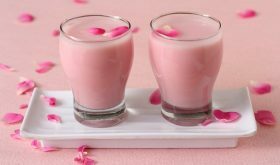 Here, rose milk is served in different avatars and a favorite of mine is the version made with Palkova (very soft doodh peda), rose syrup and chilled milk. 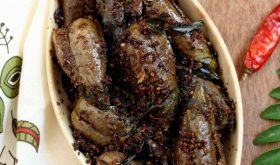 Absolutely rich and addictive. This shop even sells bottles of rose syrup concentrate. 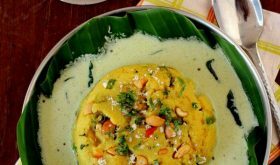 Travelling through Tamil Nadu, I found that most towns and cities have juice stalls selling rose milk that is in great demand as well as Jil Jil Jigarthanda (close to Falooda) that is a popular Madurai special and a favorite of mine. 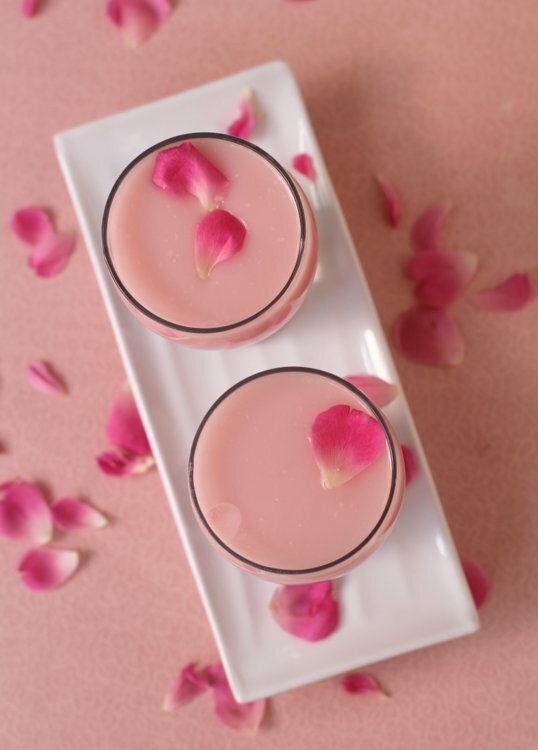 If you are yet to try making rose syrup at home, I urge you to give it a try and prepare this flavorful rose milk recipe for your kids, family and friends. An ideal drink to beat the heat during the hot summer months. Wash the organic pink rose petals and soak them in 6 cups of water overnight or for 6-8 hours. 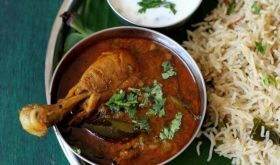 Next day morning, add rose water, beetroot juice or few drops of red color and simmer for 5 mts. Add sugar and allow the sugar to dissolve on low flame. Increase flame and bring to a boil. Reduce flame and simmer till the syrup thickens to one string consistency, approx 15 mts. Cool completely and strain the liquid and store in a clean glass jar or bottle and refrigerate. Use as and when required. 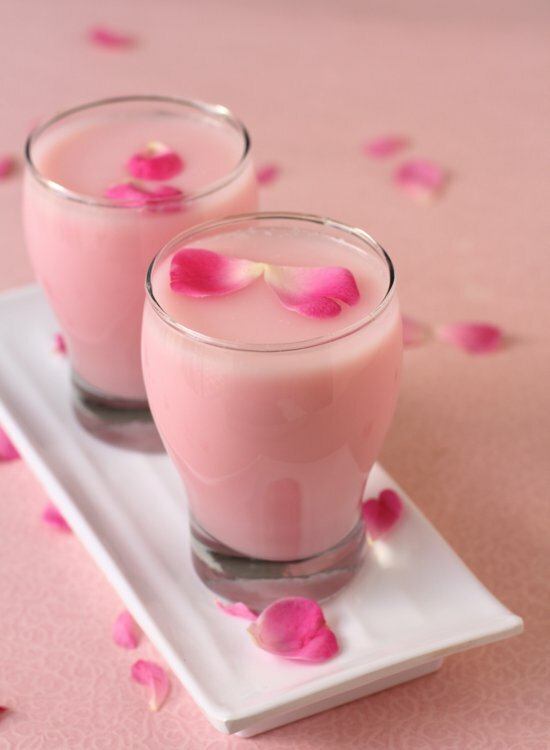 To make Rose milk, boil milk, bring to room temperature and place in freezer till it slightly crystallizes. At the time of serving rose milk, remove the milk from the freezer and place in a blender. Add 3 tbsps rose syrup, almond paste or half and half or cream and blend well. Pour into a tall glass and serve. You can add a star anise or a clove to the prepared rose syrup and store in a clean container or bottle. 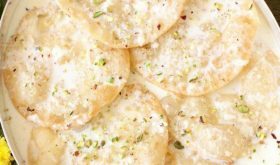 Almond paste or cream is optional. For low fat version, you can use skimmed milk. You can add a scoop of vanilla or strawberry ice cream for a rich flavored milkshake. If you do not have rose syrup, you can add a tsp of rose essence, and a tsp of rose water in its place OR2- 3 tbsps of Rooh Afsa syrup. You can garnish rose milk with chopped nuts of your choice. By Sailu Published: June 19, 2014 Rose milk recipe. A kid friendly milkshake made with rose syrup & chilled milk. Learn how to make rose syrup recipe to prepare summer drinks recipes. Interesting read……i love rose flavored drinks.